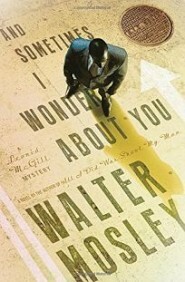 “And Sometimes I Wonder About You” is Walter Mosley’s 49th novel. 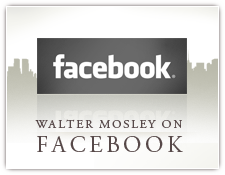 Odds are that most readers will be only fortunate enough to read a handful of Mosley’s books, and that’s if their reading schedule allows them to ever read any at all. They should make room in that schedule. 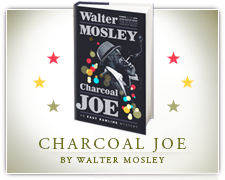 In fact, just about every time I finish a Mosley novel I think that a year spent reading only his books would be an interesting way to spend “A Year of Walter Mosley,” if you will. But if you don’t have the time or inclination to read all 49 Mosley novels, “And Sometimes I Wonder About You” can serve as an example of what Mosley does exceptionally well—entertain the reader. “And Sometimes . . .” is the fifth Leonid McGill mystery and finds that, although the New York City-based private investigator may be slowing down, his caseload is not. Work always seems to find McGill and with it usually comes a healthy dose of trouble and a muzzle or two placed on his temple or in his rib cage. Though McGill and his cases are always interesting, a lot of the fun in reading Mosley comes from his descriptions and language. For example: “. . . and a love seat made for very small lovers or maybe one fat-bottomed solipsist.” Shakespeare would have been proud of that line. McGill always seems to be juggling three or four cases at a time, and when “And Sometimes . . . ” opens, it looks like he’s about to enter a short expanse of leisure time with nothing on his day planner—until the most beautiful woman he has ever seen takes a seat next to him on a train. He knows she’s trouble from the moment he sets eyes on her, but McGill figures we all have to die someday, and there are much worse ways of going than in this woman’s company. Of course the woman in the train comes with the anticipated trouble and then there’s his son, Twill, an aspiring PI like his father, who seems to have uncovered a city-wide ring of criminals more heinous and foul than any McGill has encountered previously. The woman and the ring of criminals have more in common than one might anticipate, since they both require a lot of thinking over cognac and afford McGill very little sleep. 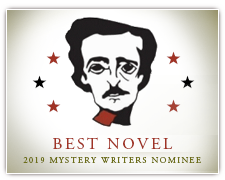 It is, after all, a Walter Mosley novel. Drew Gallagher is a freelance reviewer in Spotsylvania County.